Christiaan Huygens was a natural philosopher and mathematician from the Netherlands. He was notably known as a physicist, astronomer, and horologist. Christiaan was a dominant natural philosopher in his time and his work was composed of telescopic studies on the rings of Saturn, the creation of the pendulum clock, investigations of timekeeping and the discovery of Saturn’s moon, Titan. Christiaan was born in 1629 as the second of five children. His father taught him at home until when he was 16 years old and he was later sent to study mathematics and law at the University of Leiden. He mostly wrote his name as Hugens. At an early age, Christiaan started working in advanced math by trying to disprove theories that had been established by ancient Greeks in geometry. He was interested in telescopes and astronomy and spent a lot of time designing methods to improve mechanical and optic performance of the telescopes. His achievement in astronomy was reported in his book entitled Systema Saturnium, which was published in 1659. In this book, he noted the discovery of the rings around planet Saturn and his observations about the planets, the moon, and Orion Nebula. Christiaan’s keen interest in the field of astronomy led him to measure time and other matters that relate to mechanical physics. He was involved in the 17th controversy with Vibiani as to the real creator of the pendulum clock, which he had presented as an accomplishment of the Dutch Science in his book, Horologium Oscillatorium. This may have been considered Christiaan’s finest efforts since he also suggested vital principles of classical physics like centrifugal force and gravity in a vacuum. In the mid 17th century, Christiaan wrote a small piece on the calculus of probabilities pegged on theories of Fermat and Pascal. He spent a few years in England doing this. His reputation as a scientist and a scholar became known worldwide and he was given a pension by King Louis XIV to move to Paris. While in France, his works on timepieces continued to the point of an inclusion of balance springs in order to increase accuracy and reliability. The very first watch made using this principle was completed in 1675 and was presented to Christiaan’s sponsor, King Louis. In 1681, Christiaan went back to Holland and began constructing optical lenses containing very big focal lengths. These were later given to the Royal Society in London where they remain to date. He perfected his lens grinding skills and eventually created the achromatic eyepiece which bears his name and is used worldwide today. He published a book entitled Traite de la Lumiere in 1690 in which he suggested a theory explaining the wave behavior of light. He claimed that light waves travel on an invisible ether that fills the void throughout space and air. 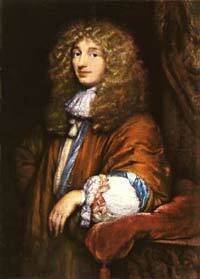 Christiaan Huygens died in the Hague in 1695 after suffering from depressive illness. He was laid to rest in the Grote Kerk.